UBC Vantage College students have made long lasting positive impacts on our university and the surrounding community. As such, we want to recognize outstanding students that enrol in our program from around the world. For students that have financial need, we have multiple awards available. Some of these awards require an application, while others are automatically assessed. Be sure to read the full set of instructions prior to submitting your award application. 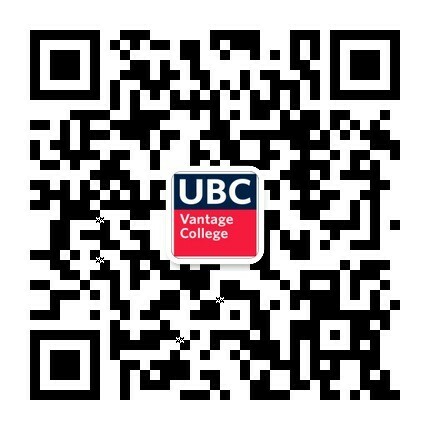 Awards ranging in value up to the full cost of the student’s academic program and living costs are offered to students beginning their undergraduate studies at UBC in the UBC Vantage One Program. The value of each award is dependent on the recipient’s financial need. The awards will be renewed for up to three additional years or to degree completion, whichever is less, provided the recipient maintains their status as an international student in Canada. Award winners will have their awards reviewed annually to assess and update academic progress and financial need. The awards will be granted on the basis of academic merit; financial need will also be taken into account. The award is made on the recommendation of UBC Vantage College in consultation with the UBC International Student Initiative. If you have any questions, please contact international.awards@ubc.ca. Each year, International Major Entrance Scholarships (IMES) are awarded to exceptional international students entering their undergraduate studies at UBC in the Vantage One Program. The awards will be granted on the basis of exceptional academic achievement, intellectual promise, as well as impressive extracurricular and community involvement. Students receive their scholarships when they enter Vantage One, and the scholarships are renewable for up to three additional years of study. The scholarship totals up to $85,000 payable at up to $25,000 for your first year, and up to $20,000 per year for years 2 to 4. Awards ranging in value up to $25,000 are offered to students beginning their undergraduate studies in the Vantage One Programs at UBC. All Vantage One students are automatically considered for this award when they apply to one of the programs. The awards will be granted primarily on the basis of academic merit. If you have a financial need, you have the option to submit an application for this award so we can also take that into consideration in your assessment. The award is non-renewable and is made on the recommendation of UBC Vantage College. Vantage College has established an emergency bursary to assist current students facing serious unexpected financial challenges. For more information about this bursary, please refer to our current students site.